I’d like to welcome Andy Healy the author of the wonderful MJ 101 series: MJ 101 Greatest Songs and MJ 101 The Short Films. 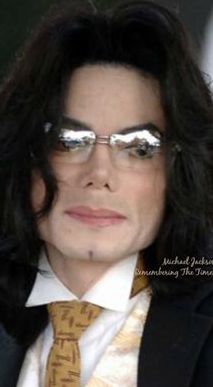 His new e-book MJ 101 The Remixes is being released on June 21 and if it is as well written and researched as the others I know it will be well worth the read . Hello Andy welcome and thank you for talking with me. I’d like to first ask you why MJ? Why did you decide to focus your e-books only on his music and art? I’ve been a fan of Michael’s since Off The Wall and like many of us grew up with his music. It’s cliché to say but his music was very much a soundtrack of my life and as a fan I wanted to pay tribute to the wealth of music and material he left us. Also I felt that Michael’s work often got overshadowed by press coverage of other things – it felt like people saw the superstar but forgot about the artist, so I wanted to in my small way bring the focus back on what matters most – his music and artistry. After reading through your selections of both the 20 Greatest Short Films and 101 Greatest Songs, I wondered how you decided where to place his songs on the list. Was it personal preference or were there a number of other things that you focused on? I set myself a criteria for both. Obviously it’s an imperfect process and personal likes do come into play but I did try to review and rank the works both on artistic evolution and career development. I paid little mind to chart success and looked at the works solely on their own merit. For 101 Greatest Songs I just focused on the songs from a musical creation point of view, the obvious impact they had on the industry but also, and more importantly, the impact they had on Michael’s evolution as an artist. I also didn’t want it to just be hits, hits, hits. I wanted to create a list that truly reflected his whole career. I love the way you broke down each song that you selected and then poured your heart into writing about each one both emotionally and musically, it made me want to go back and listen to each song as I went down your list and pick up on all the nuances I had missed. Do you have a musical or arts background? I’m not formally trained in any aspect (and for those out there that are, it’s probably glaringly obvious) but I do have a great appreciation for music. I write music and lyrics myself so I tend to delve deep into a track’s composition and arrangement, really get inside it to see what makes it work, how things are mixed. And I love songs that have richness to them that reveal themselves over repeated listening. Michael was a master at that. There are little things buried in the mix that you might not really grasp onto until the third or sometimes thirty-third listen. And I’m glad it made you want to go back and revisit some songs. I had hoped that people might listen to the songs while reading it and I actually tried to pace the writing in a way that when something was being discussed you would hear it or at least be able to listen out for it. I think that’s when the book is potentially most helpful and useful. 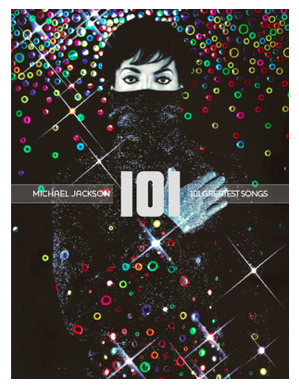 I’ve had people tell me they’ve created a MJ101 playlist that matches the book, but more importantly I hope it inspires them to create their own 101 playlist and really explore the music. Well you certainly succeeded in allowing the reader to do so. While reading I began to wonder how hard was it to select the top 10 songs for your book After all MJ had so many wonderful, magical songs I can’t imagine trying to pick even my top 10. Well initially I imported every track of Michael’s from the Jackson 5 to the Jacksons through to his Solo Career into a playlist and then just started sorting through it. Billie Jean for me was the obvious top spot as it is such a career defining song, but more importantly it is such a musically rich song. The composition is sublime – so many hooks, and the production is as near perfect as you are ever likely to hear. But after that all bets were off. I kept shuffling songs up and down the playlist. Is this song better than that and why? I had to give up my own personal top 3 for example and go with songs that truly met my selection criteria. And you’d think after you cracked the top 20 it would be easier but it wasn’t. I would play each track and shift it up or down based on what was around it. iTunes was a saving grace. And I would listen to songs on different formats – vinyl, old cassettes, CDs and digital copies to see what each format revealed. And this would also have some bearing on the ranking. When I went through your selection of the 20 Best Short Films, I obviously knew what number 1 was before looking but I was, at first, undecided on the order you chose them just by skimming through the list, but after reading in more detail I understood why you selected them in that order and it made sense to me. You reference the lighting, the direction, the choreography, the still images and so much more and it really makes you, once again, want to look at each of these films in a different way. They aren’t just song and dance films, they are so much more. Can you elaborate on why it is everyone’s number 1 short film “Thriller” and explain to us why you believe it is such a classic? There’s no denying the overall creative leap Thriller made. No one had really done anything as epic or adventurous up until that stage. Michael led the way and it was truly an event. People gathered around the TV to see it when it aired. It was a true watershed moment for the way music videos were forever going to be seen and made. But more than that, the actual imagery was immediately iconic, from the Werewolf transformation to the red jacket to the zombie transformation to the sublime choreography. And then it’s all wrapped up in a narrative that keeps you entertained and firmly planted in your seat. Also the inventive way it restructured the song to be all verses showed a strong sense of narrative. I can’t recall any music video since that messed with the actual structure of the song in lieu of a stronger story. And it holds up 30 years later and is still as fresh and exciting. Oh and you might be surprised, for my own tastes and styling Scream is my personal number 1 short film, but there is no denying the truly zeitgeist moment Thriller was and for that it rightfully sits on top of all charts. Also it should be noted these aren’t meant to be the be all and end all of the discussion either. I love it when people tell me their own top 10. These books are just intended to start a discussion rather than be the final word. 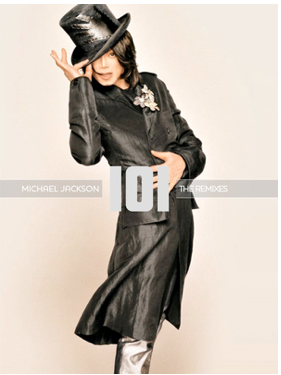 Your new e-book MJ 101 The Remixes will be released on June 21st. As you know there is a lot of debate among fans on whether he wanted his music to be remixed and whether he actually liked them at all. What is your theory on that and why did you decide to focus on his remixes for your new book? As a fan I was always interested in the remixes and extended mixes that were produced of Michael’s music either by his own studio team or others. For me remixes offer a chance to see a song in a new light. It’s not always a better light mind you, but sometimes it will uncover something in the original that makes you go back and appreciate it all over again. I don’t see them as being in place of the original song, but rather a complimentary reworking. Now I don’t like every remix, and there are certain styles that I just can’t get my head around – like taking a ballad and turning it into a dance track – but when done right it can add an extra dimension or alternate take on a song that is worthy of listening to. For me I remember the rush of buying a new 12” and hearing the extended mix of a track like Bad or Smooth Criminal. Then with the release of Dangerous came the first real wave of remixes with the C&C remixes of Black or White. For me as a fan it was great to buy the 12” or CD single and get all these extra gems alongside the real jewel. As for if Michael even liked remixes, I’m not 100% sure one way or the other. I’m aware of his statements in Black or White magazine following the release of Blood On The Dance Floor : HIStory in the Mix and that he didn’t like them. But then I’m also aware that he included the IHS remix of Who Is It on The Ultimate Collection in place of the album mix, and that he sought out Jay-Z for the You Rock My World remix, and according to some reports sought out the guests and remixers on Thriller 25. He also had a long history of having his producers doing remixes such as Teddy, Dallas, Jam & Lewis, even getting Bruce to do extended mixes for the tracks off Thriller and Bad. I think while he may not always have appreciated them, he knew the power of a good remix in being able to extend the reach of the original song in clubs and on radio, and as a way of keeping a song charting. Ultimately I’m just a fan writing about the music and art of Michael’s that interests me, and if remixes interests you then I think you’ll enjoy The Remixes which explores his 20 best. Thanks for your openness on that question. I know you have seen Michael live on tour 5 times, I can’t imagine what an experience that must have been for you. Can you compare his shows to any other entertainer today or was it a once in a lifetime experience? For me seeing Michael live was a true concert event. The first ever concert I saw was KISS when I was 8 years old and it was a rock’n’roll spectacle. And in the lead up to seeing Michael’s BAD tour I had seen other shows but BAD set the benchmark for me. It was all MJ, pure energy, pure vocals and non-stop dancing for the entire set. There were people of all ages, all races in that crowd and every one of them was captivated by every little move of Michael’s. There was even a rawness to it that got removed over the years that made it unstoppable. The next tour of his I got to see was HIStory and it held special moments for me and was a bigger more theatrical production. For all its precision there was still room for Michael to make each show a little different – for example seeing him perform D.S. and Come Together was a complete surprise. As great as HIStory Tour was (and I loved its set list) the BAD tour was, for me, Michael at his purest talent live. I’ve seen over 350 live shows of different artists including many of today’s greats and there’s only a handful that truly deliver like Michael did – they come close but don’t match it. You consider these e-books as being for the fans by a fan. Why did you decide to make these ebooks free? Well the cost is really only the price of a tweet or a share on Facebook, which I think is wonderful idea. My intent was never to make money off this series so giving them away for free was always the plan. I actually started working on MJ 101 – Greatest Songs prior to 2009. Then when Michael passed I shelved it for a few years as I didn’t want to be seen as cashing in on the tragedy of his death. Then a few years later I started working on it again, finally releasing it in June of last year. As I just wanted to share a love of Michael’s music and art, and get the discussion back on his music where it belonged I thought the best way to distribute it was as a free e-book. A gift from one fan to another. The e-book format made it immediately accessible to fans all over the world. And it’s been fun seeing fans from Italy, Spain, England, China, Thailand and so on reach out and email me their thoughts on the books. The free for a tweet or Facebook post was something new I just implemented last month as a trial. I saw it as a fair way to try to get awareness for the works if people felt they were of value. With the release of The Remixes will that be it for the series, or do you have others planned? I do have a few more ideas for the series, more in the supplement format like Short Films or Remixes so we will see how things pan out, and how the series is received. I know we will be anticipating your new Remixes e-book that will be out on June 21st and I encourage everyone to download the MJ101 Series as they give insight and a better understanding of Michael’s songs and his Short Films. They are written with utmost respect and you can feel this by reading them that it’s all about the music and the artistry of Michael Jackson. June 13th will mark 9 years since Michael Jackson was acquitted on ten accounts of child molestation. Apart from family and fans, not many from the general public will pay much attention to this date. For most, it is just another day. For some of us, though, it is our yearly reminder of a lot of things: of reflection, of redemption, of justice…but also of human nature, and the damage it can sometimes do when unleashed . Wade Robson made a name for himself (of course with the help of Michael Jackson) within the entertainment industry. 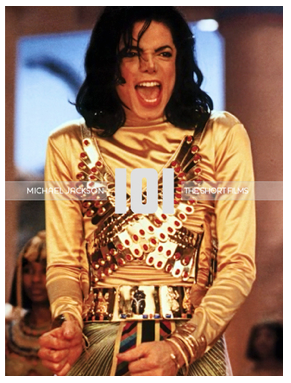 His association with Michael Jackson allowed him to take advantage of opportunities that might have otherwise been closed. He won quite a bit of awards, appeared on a few shows, worked with artists such as NSYNC and Britney Spears, and even had a chance to have a show named after him. Every chance he got to talk about who and what influenced his decision to enter the entertainment industry, he always named Michael Jackson as his biggest influence.